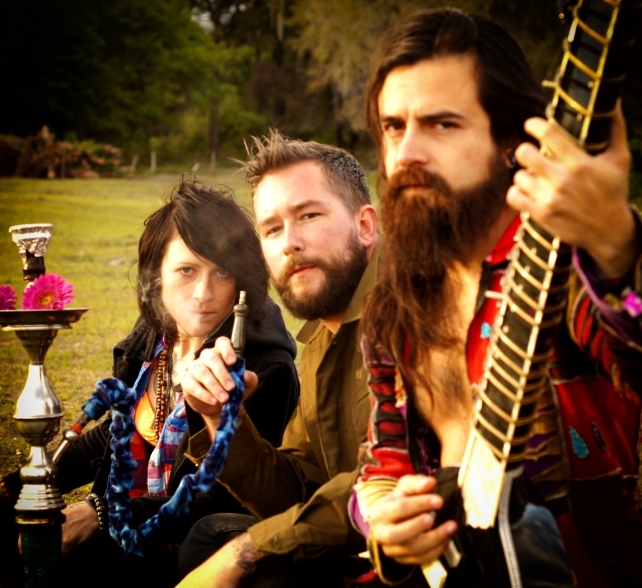 Fans of the band and viewers of the Hippies’ previous videos (“Rose,” “Spaceship Ride”) are well acquainted with the band’s penchant for intensely creative, humorous and eye-catching videos. That streak continues with the release of their newest video for the slow burner “Mirrorball,” the opening shot of which includes a pair of bikini clad, hula hooping hotties in Nixon and Reagan masks…and then things get weird. Featuring vocalist/guitarist Katherine Kelly dressed as a black hooded terrorist, shaving the head of her young male captive, as well as shots of the entire band indulging in copious amounts of cocaine like the drug fueled mania of the ‘70s & ‘80s never went away, the “Mirrorball” video shocks the senses and subverts expectations in a way that will have you both laughing and gaping in slack jawed wonder. 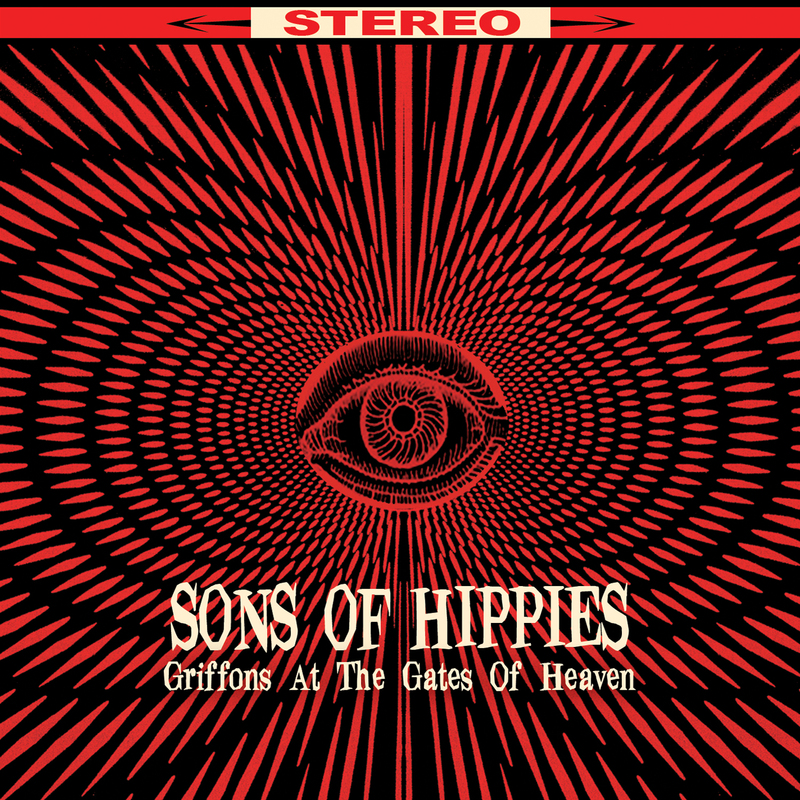 Los Angeles, CA – Florida-based Psych-Space rockers, Sons Of Hippies, take flight on the backs of mythical, winged beasts to bring you Griffons At The Gates Of Heaven, the band’s newest and most ambitious recording to date, available July 16 on Cleopatra Records. Mixed by legendary Seattle producer Jack Endino (Nirvana, L7) and mastered at Abbey Road Studios, the album fearlessly synthesizes four decades of rock with heavily echoed, neo-Surf guitar, sinister mellotron and crunching power chords. “Rose,” the album’s second single, has achieved extensive support at radio, debuting on KROQ’s “Rodney On The ROQ” program earlier this month as well as landing on CMJ’s Top 200 chart. Simultaneously, the band has been touring across the eastern states, including several special engagements with UK prog legends Nektar. Griffons At The Gates Of Heaven is available on CD, vinyl and cassette! 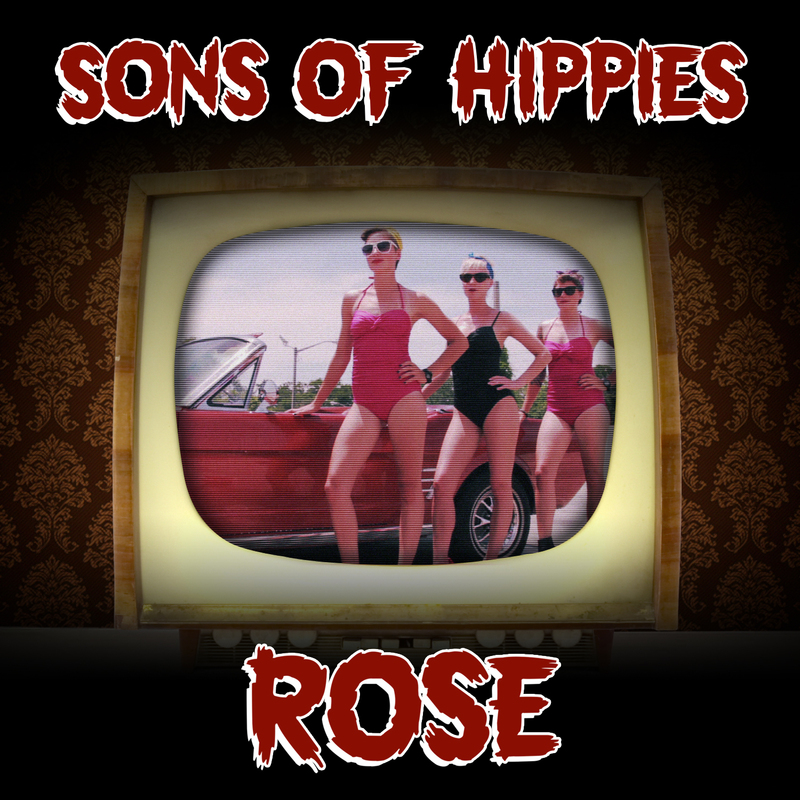 Los Angeles, CA – In anticipation of their brand new full length album, Florida-based psychedelic space rock trio Sons Of Hippies will premiere a new single and video “Rose” on the music & culture website MXDWN.com this Monday, June 17th. “Rose” is the second single from the Hippies’ new album, Griffons At The Gates Of Heaven, mixed by Jack Endino (Nirvana, L7) and mastered at Abbey Road Studios, to be released July 16th on Cleopatra Records. Directed by James Herrholz, “Rose” stars SOH vocalist/guitarist Katherine Kelly, drummer Jonas Canales and bassist David Daly out for a drive in their classic, cherry red Mustang on a sun soaked Florida afternoon when they encounter a seductive trio of car washing vixens. Much sudsy fun and playful teasing ensues. But things are not all what they seem and soon enough the story takes a shocking turn you’ll have to see to believe! Sons Of Hippies was conceived high in the mountains of Tennessee amid fellow music lovers at a festival on a 700-acre farm. Their name originated when Brazilian native Jonas Canales and Florida-bred Katherine Kelly probed familial bonds to discover they were, indeed, children of hippy parents. The duo’s dreamy, melodic but complexly synthesized music struck a chord with audiences and earned the band a critic’s choice award from Tampa’s popular Creative Loafing magazine for “Best Modern-Sounding Record” in 2009. Bassist David Daly joined the group in 2011 and in December of the following year, the band signed with Cleopatra Records. The resulting album is the group’s strongest and most ambitious set of recordings to date, and earned these young upstarts a spot on a summer tour with two giants of classic and progressive rock.